This unique cigar case is like no other! 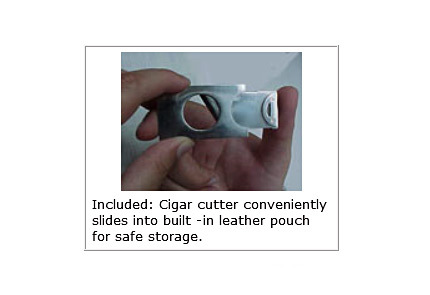 How often have you taken a couple of good cigars out to smoke on the road to later find out you forgot your cutter? 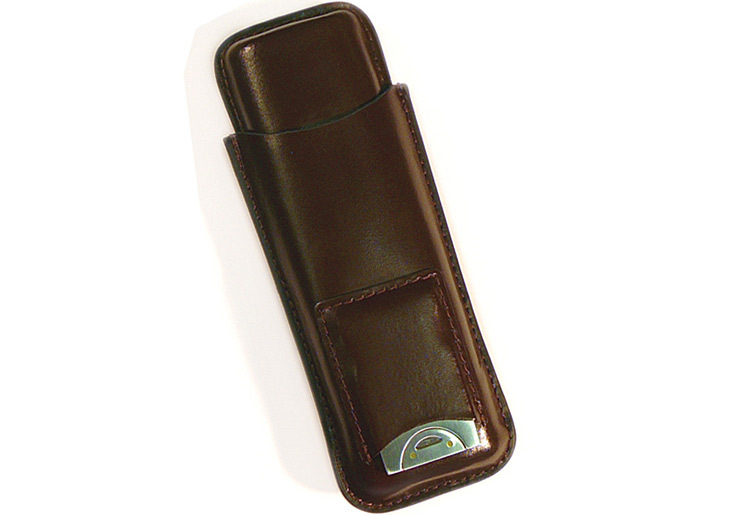 If that sounds like you, this leather cigar case is right up your alley! 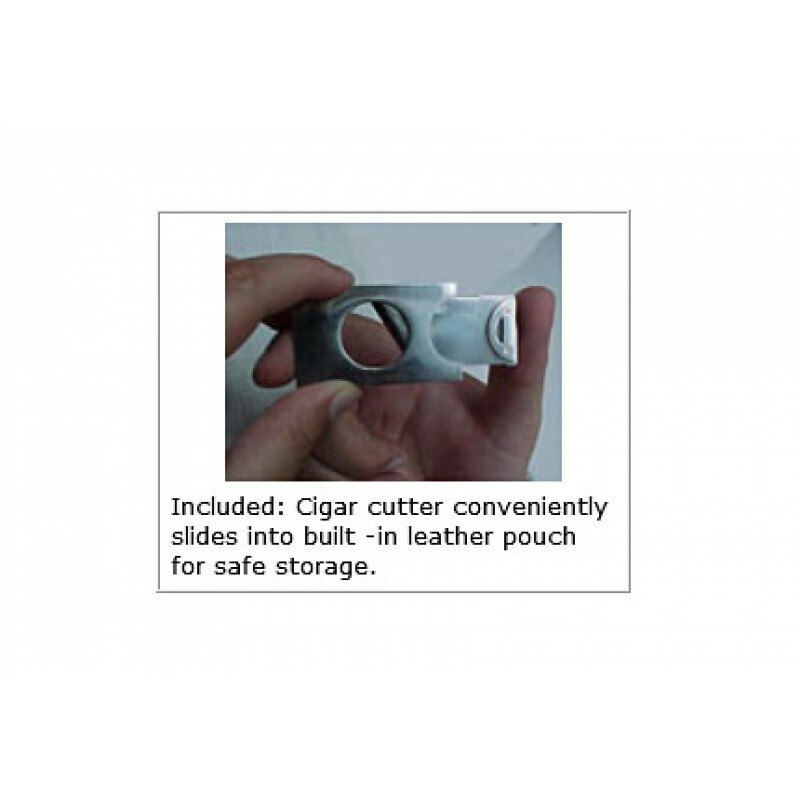 This 2 cigar leather carry case can protect two 48 gauge cigars and includes a convenient built-in cutter which easily slides out of its protective pouch for quick and easy access. Makes a great gift.